There is less than one week before Collaborate 13 conference. As a reference, I list the schedule of all of presentations and panels I will present or co-present here. Since Collaborate 13 conference allows us to download the presentations and whitepapers prior to the conference, the link with each of these titles leads to the page where you can download the presentation ppts and whitepaper. 4. 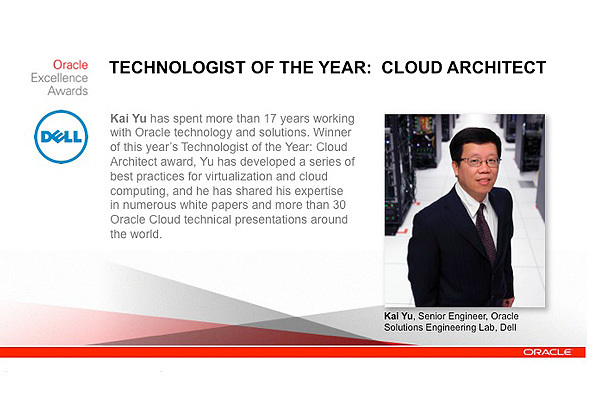 Simplifying Application Deployment in Cloud using Virtual assemblies and EM 12c, session #369, Wednesday, April 10 4:15 pm – 5:15 pm, Mile High Ballroom 4B, Speakers: Honglin Su Oracle, Kai Yu, Dell Inc.
Look forward to having the great presentations and discussions with panelists, co-presenters and audiences.